It rained all night. Maybe we should have stayed in the Walmart parking lot. But, no, during a break in the rain we left, figuring the traffic would be light early on a Saturday morning and we could get through Houston easier. We were right, we got around the city with no problems, other than it began raining again. Our new wiper blades are working GREAT! We only drove 122 miles today. 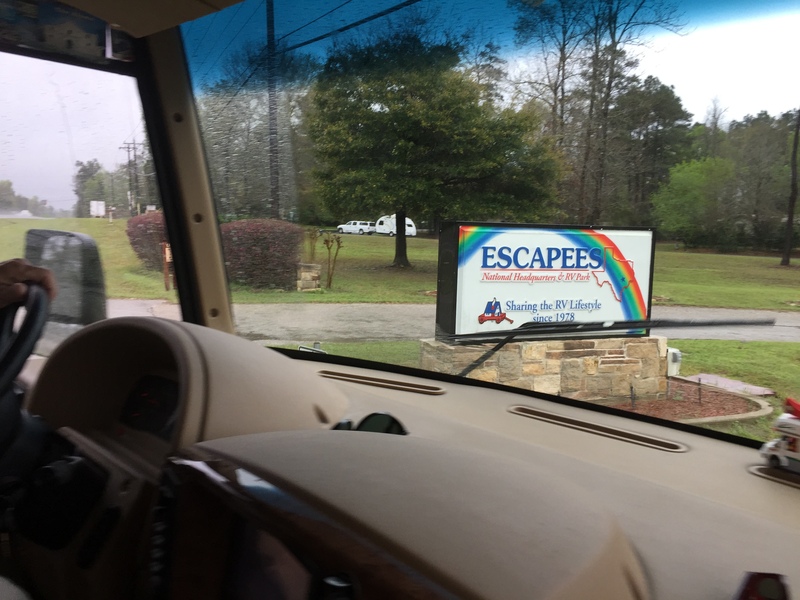 We are recent new members to the Escapees RV Club and their National Headquarters is just north of Houston. 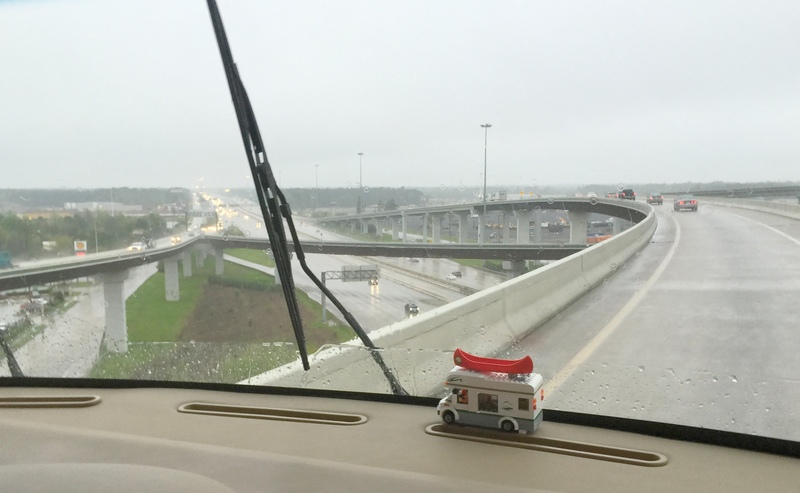 We thought it would be interesting to stay in their RV park and tour the headquarters. It did not stop pouring rain all day, so here we sit inside our RV and watching TV. We will be here for two nights, perhaps we will extend it, haven’t decided yet. This entry was posted in Daily Post, March, Texas and tagged Escapees RV Club, Livingston TX. Bookmark the permalink.